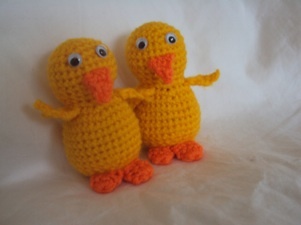 Take a look at my little crocheted Easter Chicks! 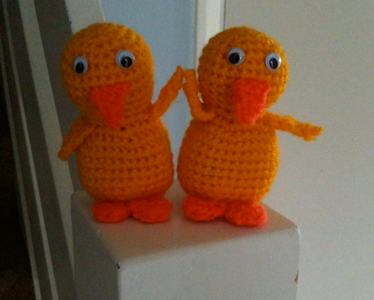 It has been a hectic couple of weeks and today is the first chance I have had to post these! A bit late for Easter, but hopefully of interest to someone! 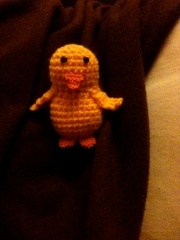 I made my first little chick free hand and stuffed it with toy stuffing. 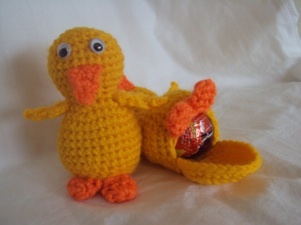 I had began to make a second one, noting down my pattern, when I had a request for two chicks that could hold a chocolate egg. This is the result. What do you think? Can you guess what is hiding inside? I made Baby B one as well, of course finishing right at the last minute on Easter Sunday. He is a bit young for eating said chocolate egg and so Mummy will definitely have to help him! 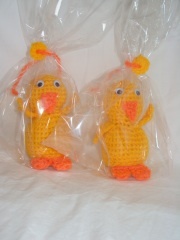 Here are two little chickies bagged up and ready to be sent to two very lucky little boys. 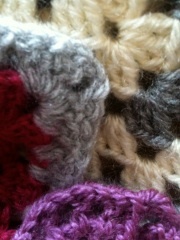 I do have to admit that my desire to learn a few new crafts has been taken over by an addiction to crocheting. I have even started reading about the history of the craft. A trip back to my love of sugarcraft is imminent as Baby B’s first birthday is in the Summer. One big fat over the top cake coming right up!